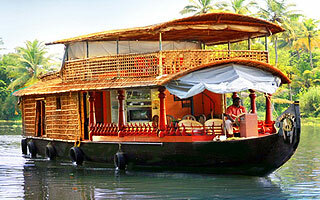 Kerala is a state on the western coast of India which is blessed with wonderful and captivating natural beauty. It has lot to offer to you beautiful backwater, coconut trees, beautiful beaches, wildlife, Ayurveda and massage and much more. You will be really amazed to see the marvellous beauty of this state. If we will say that it is "Bliss of South India" then would be totally true. Visit Kerala and fall in love with it. En-route you will observe so many fascinating sites such as Waterfalls and other adorable landscapes. After breakfast, check-out from the hotel and drive towards beautiful Thekkady. From Munnar, Thekkady is a ride of 04 Hours. On the arrival at Thekkady, check-in to the hotel and relax. 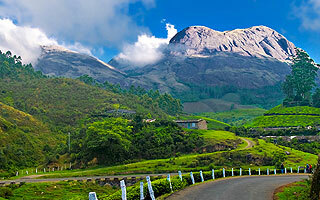 Enjoy mesmerizing time in the hill station by visiting its scenic sites. The first destination you will visit is the Periyar wild life sanctuary. The sanctuary is famous worldwide because of its rare species and other scenic beauty. Spend some wild moments with wild species in 777 square kilometers wide campus of sanctuary. Explore through Jeep Safari its 360 square kilometers large dense forest. After breakfast, check-out from the hotel and get ready to drive towards Kumarakom. The destination is located at a drive of 05 Hours from Thekkady. After breakfast, check-out from the houseboat and get ready to drive towards Kovalam. Kovalm is situated at a drive of 04 Hours from Alleppey. On the arrival at Kovalam, check-in to the hotel. After breakfast, get ready for drive to Trivandrum.